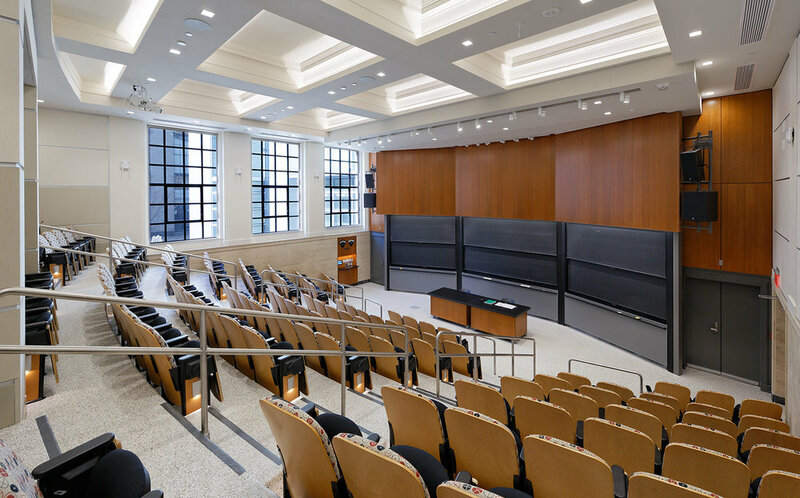 MDS has designed several renovations to classrooms and tiered lecture halls at Harvard Medical School (HMS). The primary goal for these renovations was to modernize teaching environments and upgrade A/V systems with new standards that are being applied to all classrooms across the HMS campus. Goldenson 122 is a tiered lecture hall used by the Neurobiology Department. 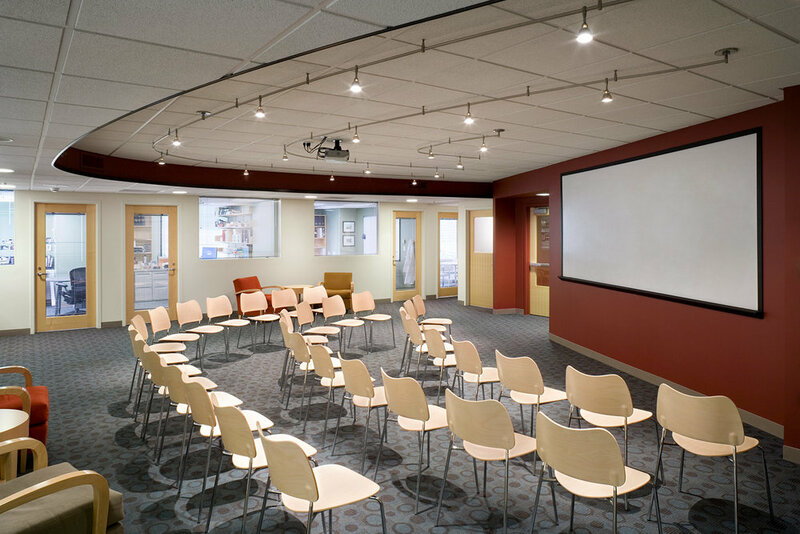 Our renovation involved the demolition of the existing tiered seating and construction of a new sloped seminar room with fixed seating for 82. Accessibility improvements brought the facility up to contemporary standards. 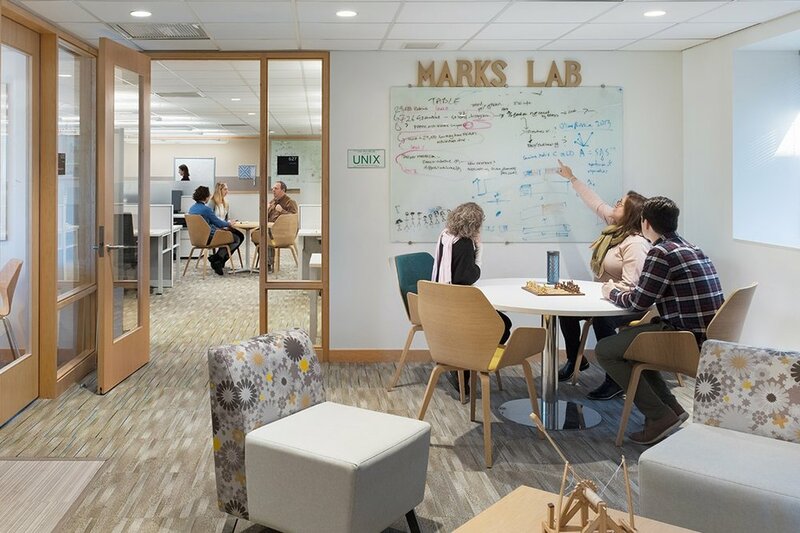 Our renovation of Warren Alpert 563 created a seminar room for the Systems Biology Department. 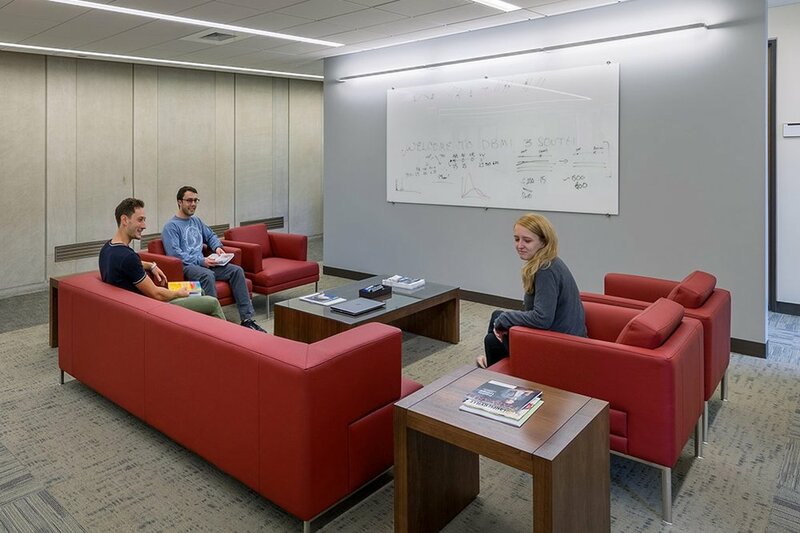 The space was renovated to provide a flexible environment for lectures and conferences with teaching walls in both the west and south walls. Moveable seating with tablets provides flexibility for multiple teaching modalities.